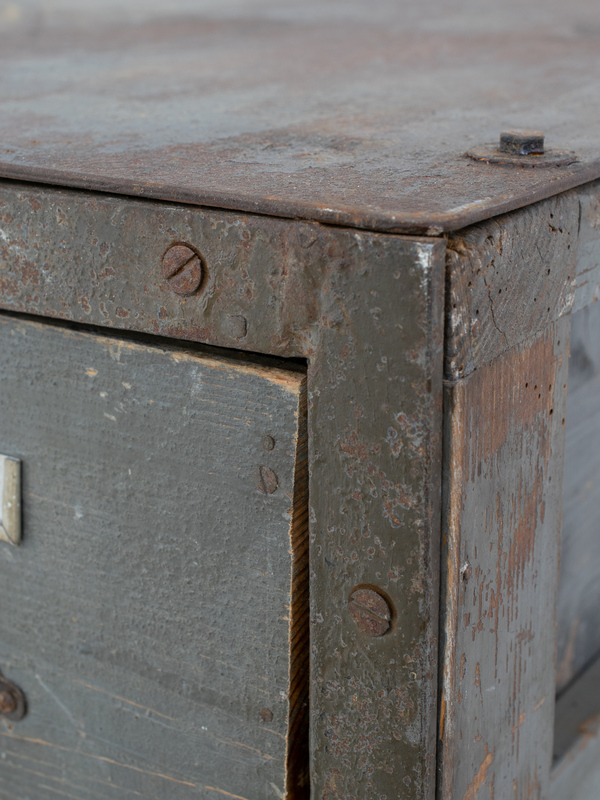 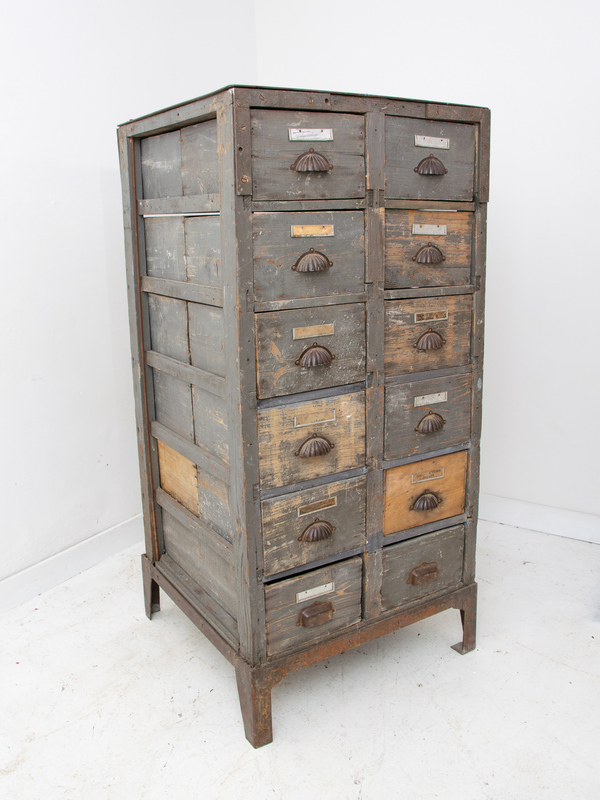 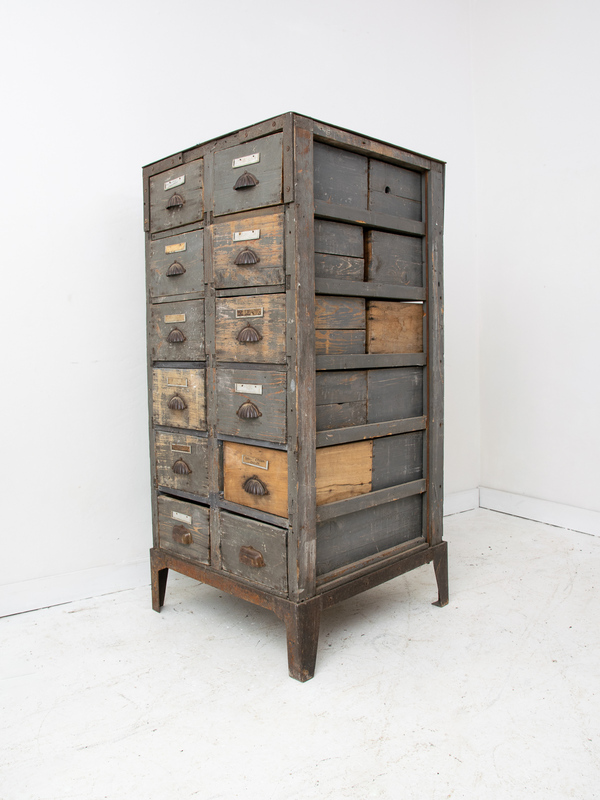 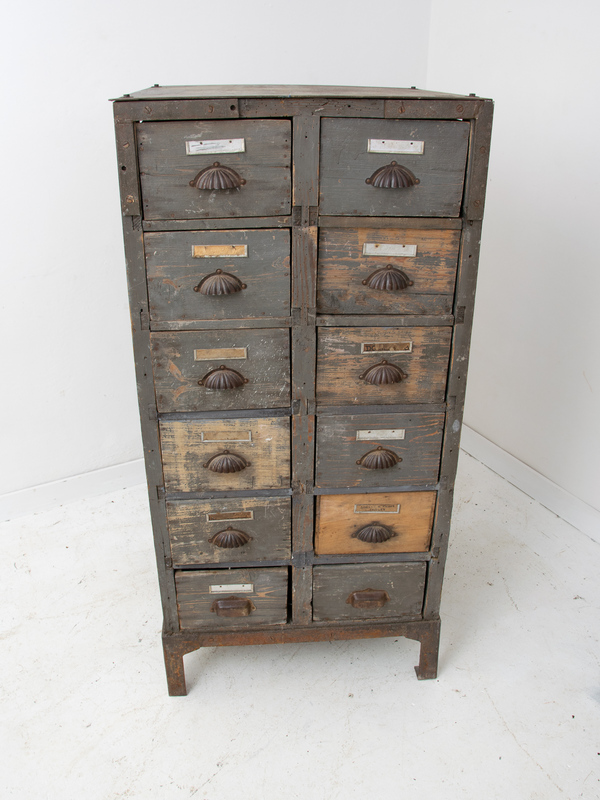 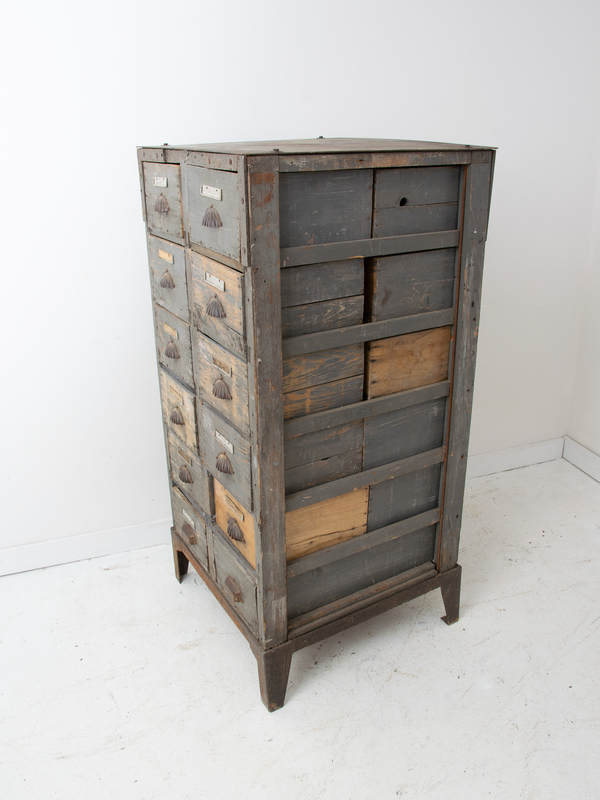 A rare and unusual vintage industrial bank of drawers with cast iron frame and painted pine drawers. 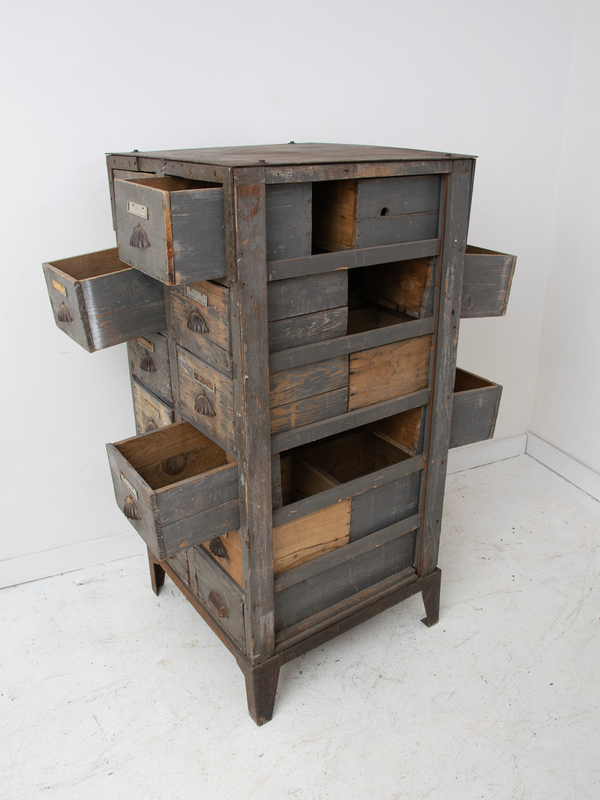 French, early 20th century. 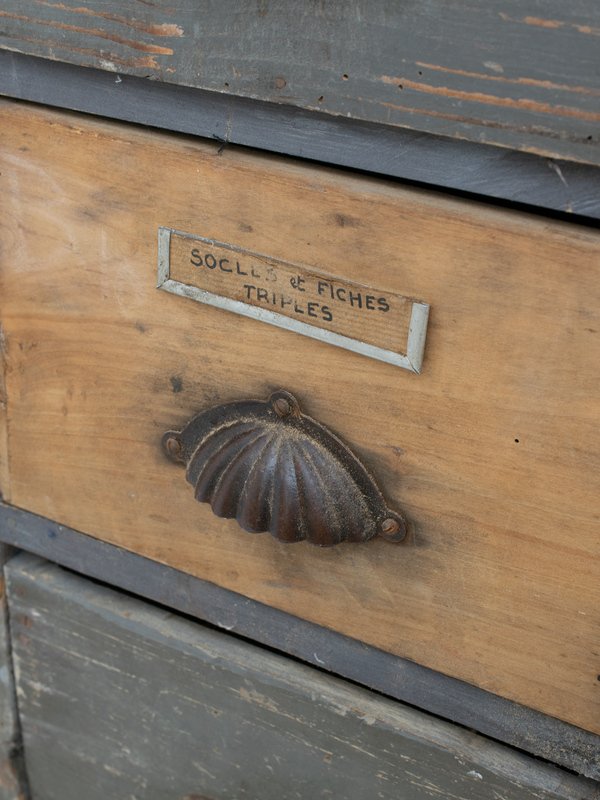 Drawers open both sides of the cabinet.